Lunch, fellowship, games, entertainment, and speakers. City Council Chambers, 1361 4th Avenue, Auburn, GA. Enjoy home grown veggies and fruits alongs with home canned goods & more. Arts, Crafts, Food, Life Music, and Halloween fun for the kids. Live music, food, and fun. Play Christmas games and have a gift exchange. Potluck lunch: bring a side or dessert to share. Fresh Produce - Home Baked Goods - Locally Produced Honey and More! 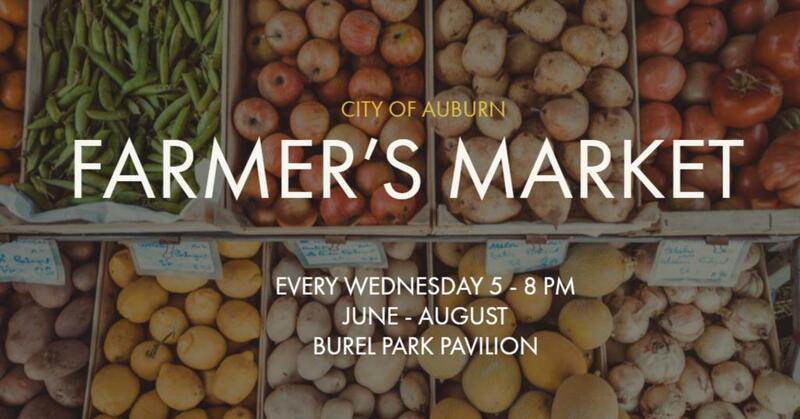 The City of Auburn and Downtown Development Authority will host a public meeting to discuss the 2018 update of the City of Auburn Comprehensive Plan. The Comprehensive Plan is required to be periodically updated by the Department of Community Affairs and serves as a decision-making guide for local officials and community leaders. Based on input from the public and the steering committee, the plan identifies needs and opportunities, goals and policies, land use practices, and an implementation framework for key elements.